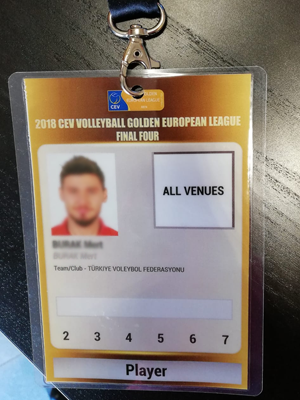 dedicated to all sports authorities that organize events, that enables to handle in one software all the requests for accreditation of all the parties involved in the event, from organizers, to players, volunteers, media, security, etc. 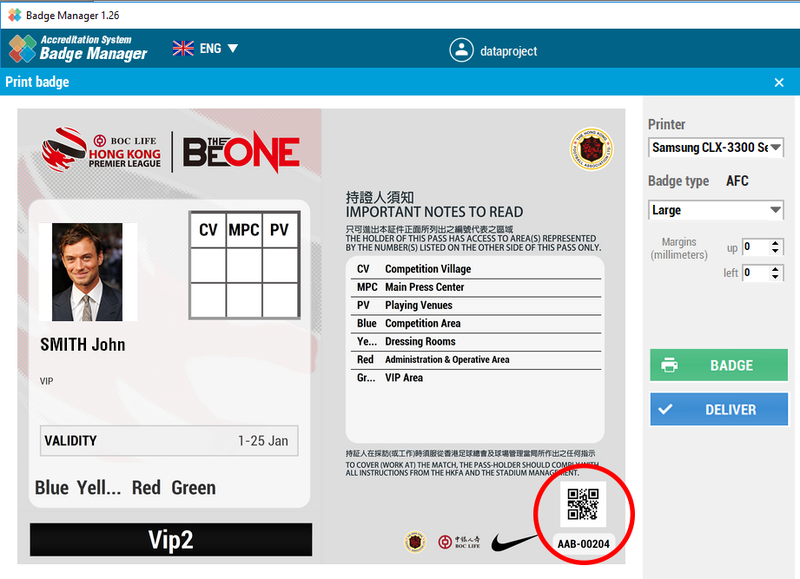 with third-party systems, through API, it can receive lists of people to be accredited, directly from an external competition manager, included the Web Competition Manager. 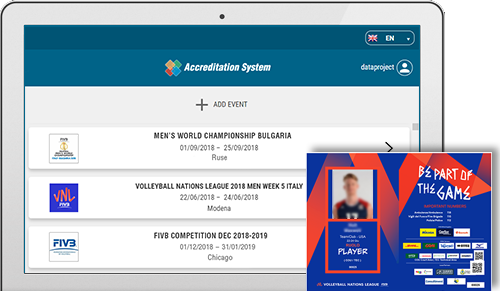 where organizations and single users can sign up to request accreditations, and check the status of their requests, download files and information about the events, apply for new events. in all the aspects, it is possible to pick the badges layout between the presetted, or create a new one. 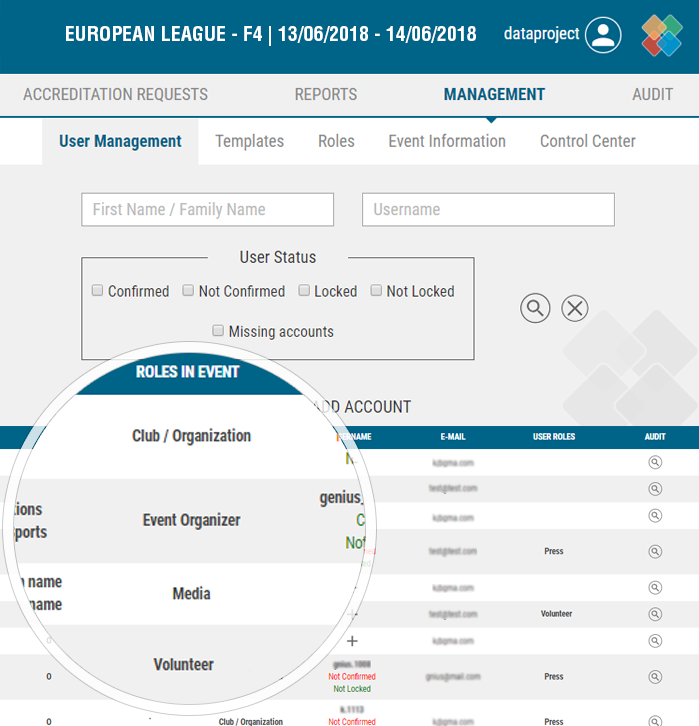 There are also customizations related to access functions and roles that, combined with the integration with thirtd-party systems, simplifies the work of the event organizer. 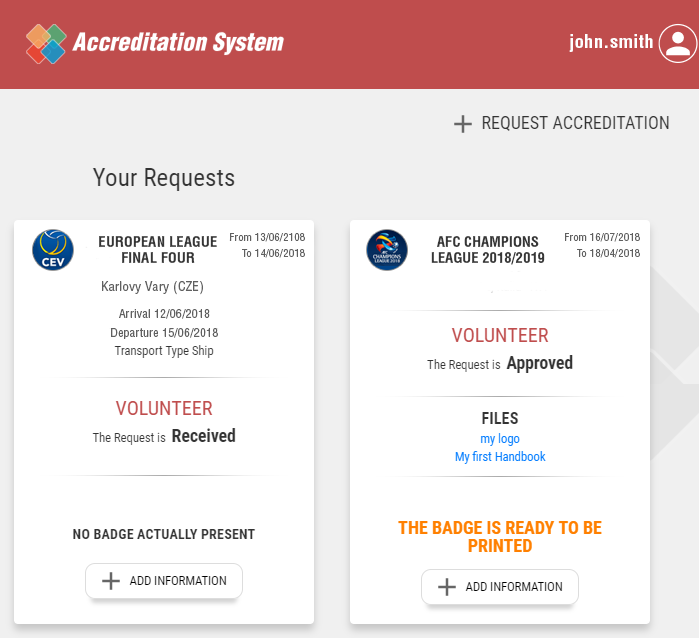 The system offers a simplified management as well, where it is possible to create badges in a few clicks. 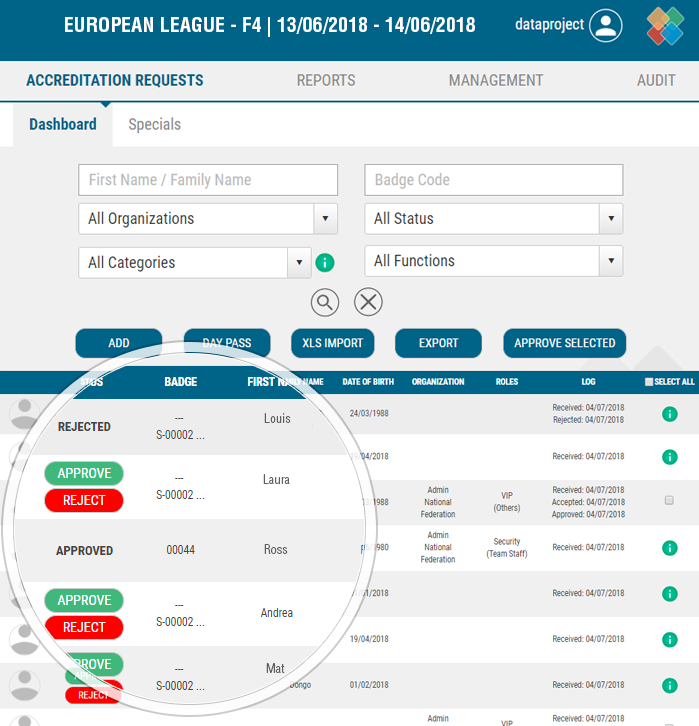 From the Control Panel it is possible to access the Accreditation Requests area, where the event organizer can display the requests list, approve or reject them and, in general, keep track of the status of the requests. 2. 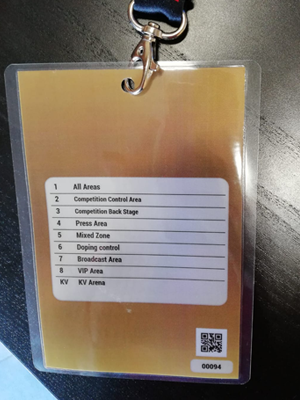 General pass, customizable in roles and related access areas (e.g. for security, guests, etc.) as well as in duration (1 day or more). 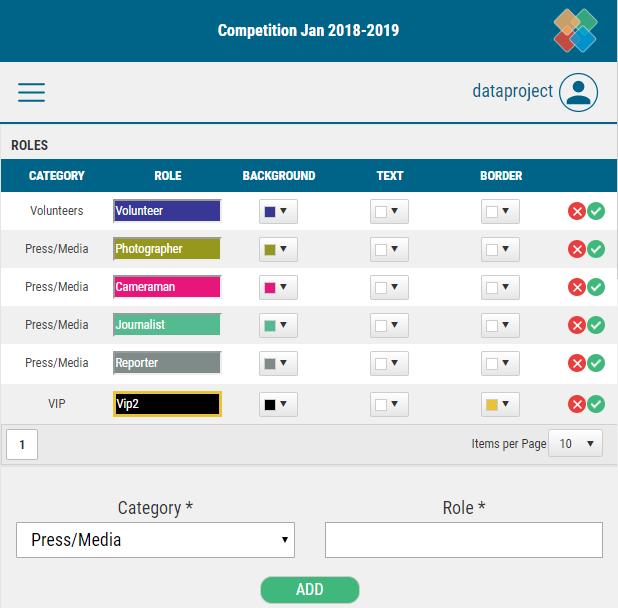 The event organizer can manage the requests, through the specific Dashboard, or can decide to delegate the task to the manager of every specific area. It is then possible to creare new administrative accounts with limited access rights, in order to designate a person in charge for specific areas, that can validate requests for functions related to that area, such as Volunteers and Media. 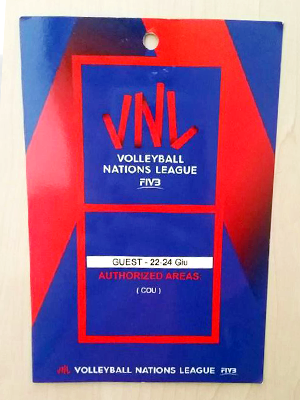 It is also possible to give different access rights, define various roles for the accredited (e.g. for media: photographer, cameraman, journalist, reporter), specify diverse colors to use for some functions in particular. Moreover, 3 different badge sizes are available to print: small, medium, large. 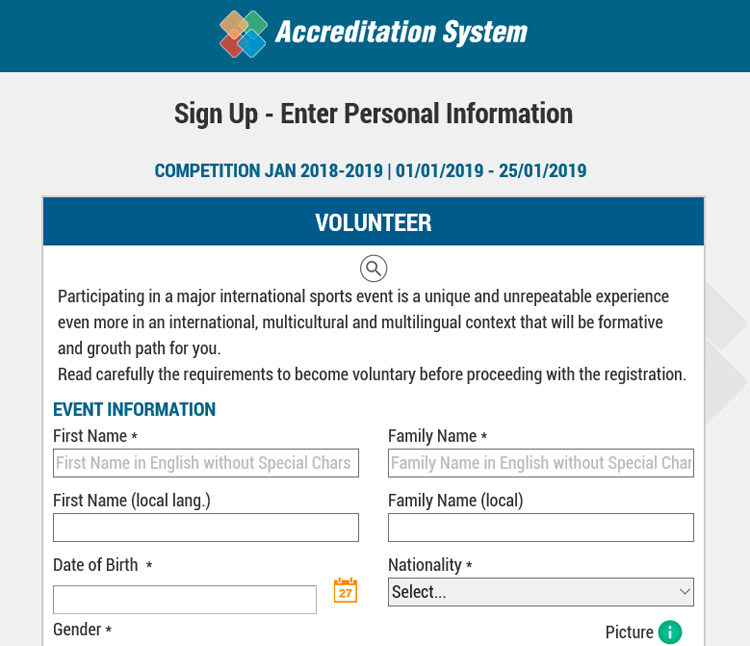 Media and volunteers can apply through a dedicated form, in order to receive a personal accreditation, even if ther are not in the online system. It is possible to upload the necessary documents, such as Identity Card, Passport, Driving License, as well as a personal photo and additional information like arrival and departure dates, transport type and further notes. This facilitates system manager's work, who will only have to care about approving or rejecting requests. 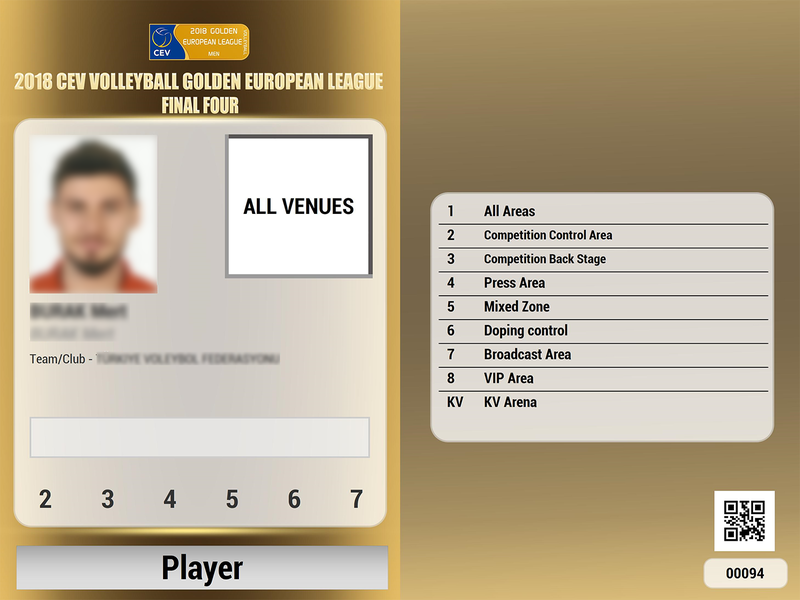 A number of files and information about the events to which the user will partecipate are available for the download in the same personal area. Badge Manager is the app dedicated to printing the badges, that enable to speed up both print and delivery operations. 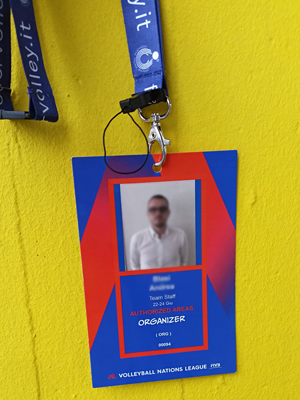 It is possible to take a photo of the accredited person through the software, straight at the event venue, and add it to the badge before printing it. Badge Reader, is the app for the staff in charge of monitoring the accesses. 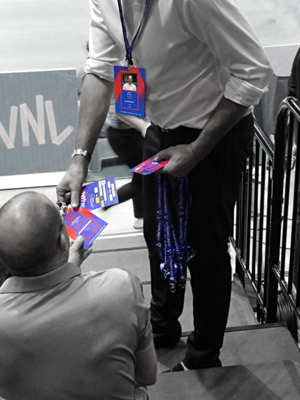 It enables to scan the QR code generated by the system and printed on the badge, in order to verify the access rights.